Following last week's very popular "Look Up" by Lea Carpenter, we're unlocking more new fiction from new APS No. 27, free for all to read for a week. 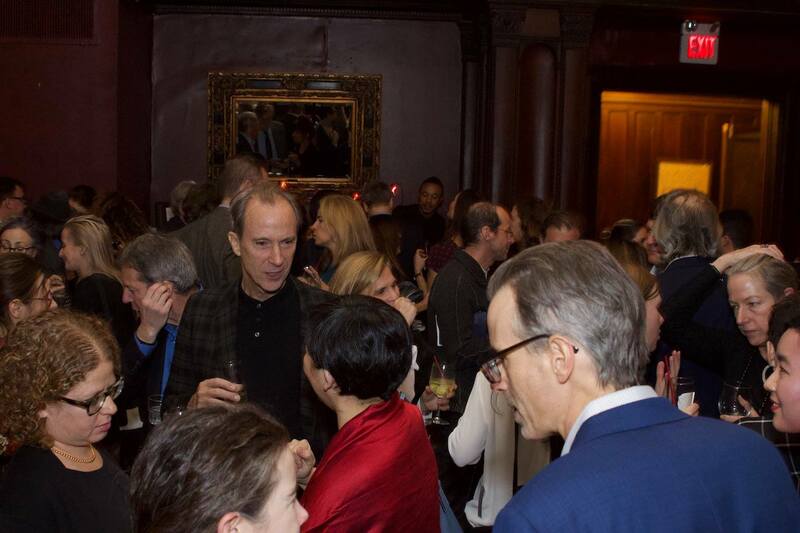 This week, encounter "The Tramp" by John Haskell (pictured, above, in the crush at our recent party). The new season of A Public Space Academy, our nights and weekends school for everyone, with new classes taught by Claire Messud, Leslie Jamison, Dorothea Lasky, and more. In the New Yorker, APS contributing editor Robert Sullivan writes about artist Pat Steir, and her landmark new commission for the Barnes Foundation. Desperate Literature, the bookstore in Madrid, is running its Literature Prize competition, and winners receive a week to write at Civitella Ranieri, the arts castle in Italy, the opportunity to participate in public readings in Madrid, at Shakespeare & Company in Paris, Burley Fisher and Second Shelf Books in London, wide publication, and more. Take a chance! APS managing editor Megan Cummins reads from new work at KGB, as part of an evening presented by CRAFT Magazine.